A newly acquired used record has me doing a little homework on the band history of Crisis. They were a UK political punk band (think far far far left - big part of the an anti-racism movement) that formed in 77' and disbanded in 1980. Two members went on to form Death in June (Douglas Pierce and Tony Wakeford). 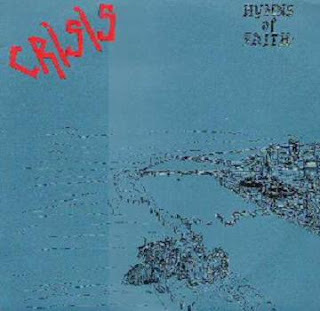 Crisis is an interesting cross of Goth and Post Punk that lands them musically somewhere in the ballpark of Gang of Four, Wire, and The Clash. I didn't know much about the band besides their connection to DIJ so it was a pleasant surprise to play this EP and discover how brilliant the music is.